You knew working at Ruth's Stitchery was going to be dangerous, didn't you? 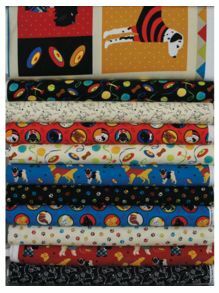 But seriously, who could resist this cute line of fabric from Blank Quilting? It's Project Dog Run -- and it even includes a white Standard Poodle, just like Jax! Jax is my friend's poodle. We got to be buddies when I spent time in Texas this summer. 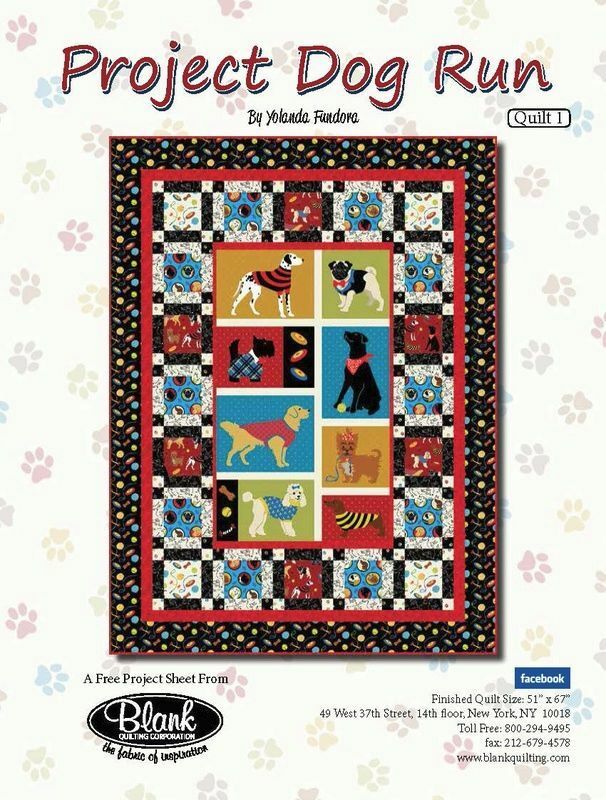 Blank Quilting even has a free project sheet that goes with this fabric line. I think I'll pick out just the dogs that Holly has owned, and make her a lap quilt. Cute, huh? She doesn't follow the blog, so I'm safe sharing this with you! One week until Winter Begins. How are you doing with your "A Quilt Block a Day" blocks? Cute project!! I haven't seen that line. I cant wait to see what you come up with. Way, way behind on the block a day. Life and holidays just happen! That fabric is so cute! I noticed there are a lot of dog fabrics around just now, only none of them show a grey scruffy dog, like mine! I was so pleased to see my fabric collection get a mention on your blog.